Lock in a great price for Hostal Casa Arco Iris (Playa) – rated 9.1 by recent guests! Staff person Ines is very kind and friendly, she always helped us with whatever we needed. Great organic breakfast with the best homemade bread that I’ve tasted in Spain. Really helpful staff with helpful local knowledge. There are some great restaurants within walking distance and the beach is five minutes away. Great location (right across the beach), very clean room. 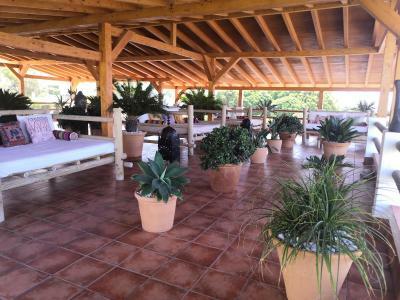 Beautiful roof terrace with huge beds to chill and enjoy the view. Very attentive owners (he was constantly fixing and cleaning the property). The pool is super clean with a few sun beds around it. Muy amables. Nos permitieron alojarnos antes de la hora prevista y la decoración es maravillosa. El gusto con el que estaba decorado, el mantenimiento de una gran variedad de plantas, la exquisita limpieza y las grandes vistas que se disfrutan desde la terraza. El alojamiento excelente en todos sus aspectos. Decorado con mucho gusto, habitación amplia, confortable y cuidando todos detalles. Fantásticas las zonas comunes. El personal encantador, cercano y atento con los huéspedes. Gracias. La ubicación, en un entorno magnífico y próximo a la playa. Muy familiar, tranquilo y bonito. Desayuno riquísimo todo casero. 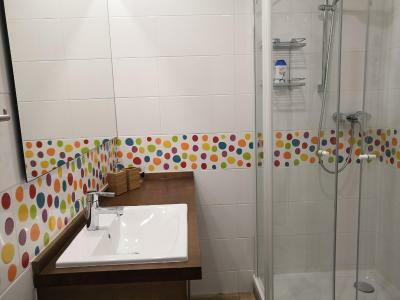 Hostal Casa Arco Iris (Playa) This rating is a reflection of how the property compares to the industry standard when it comes to price, facilities and services available. It's based on a self-evaluation by the property. Use this rating to help choose your stay! Located 350 feet from sandy Los Caños de Meca Beach, Hostal Casa Arco Iris (Playa) features an outdoor swimming pool and a rooftop solarium with sea views. Free parking is available on site. All air-conditioned rooms at Hostal Casa Arco Iris (Playa) have a colorful decoration and offer mountain or sea views. They all feature a flat-screen TV, and an private bathroom with bath or shower. Bed linen and towels are provided, and ironing facilities are available on request at reception. Numerous bars, restaurants and supermarkets can be found within 5 minutes’ walk. 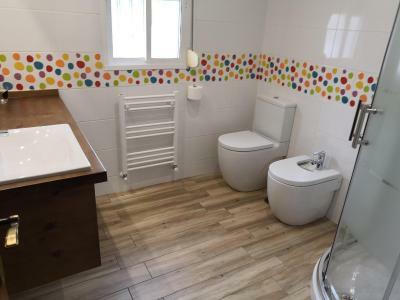 Hostal Casa Arco Iris (Playa) is on the Costa de la Luz Coast, 1.2 mi east of Cape Trafalgar and 20 minutes’ drive from Vejer de la Frontera. The closest airport is in Jerez de la Frontera, 1 hour by car from the property. When would you like to stay at Hostal Casa Arco Iris (Playa)? This air-conditioned room features a flat-screen TV and a private bathroom with bath or shower. House Rules Hostal Casa Arco Iris (Playa) takes special requests – add in the next step! Hostal Casa Arco Iris (Playa) accepts these cards and reserves the right to temporarily hold an amount prior to arrival. If you expect to arrive outside reception opening hours, please inform Hostal Casa Arco Iris (Playa) in advance. Additional charges apply. Please note that the reservation must be paid in advance via bank transfer or in cash upon arrival. Please note that the property will pre-authorize the credit card used for the booking right after the reservation is done. TV signal in the area is not stable, so TV service is not available 100% of the time. Please inform Hostal Casa Arco Iris (Playa) of your expected arrival time in advance. You can use the Special Requests box when booking, or contact the property directly using the contact details in your confirmation. Beautiful resort like feel! Very clean! Very friendly and welcoming. Great breakfast. Price of breakfast was expensive.